So we all come to a point where we need a change. 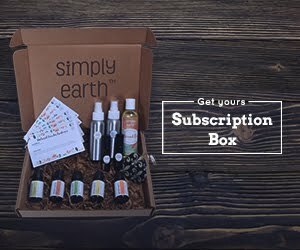 This change may be as big as moving to a new city or as simple as receiving a beauty makeover. 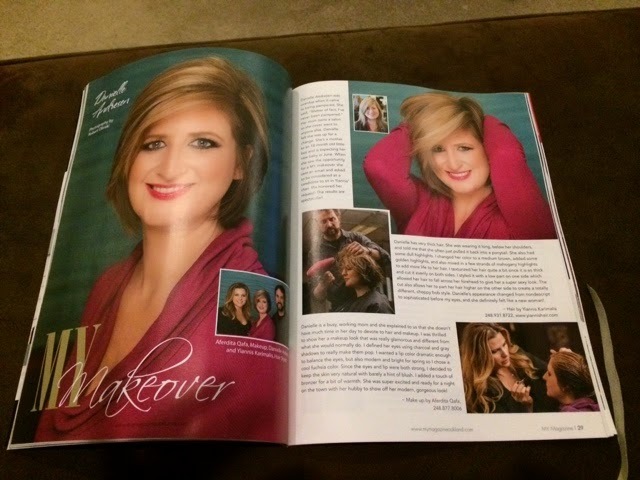 Recently, I was selected to receive a beauty makeover for a local magazine called Michigan MY Magazine. 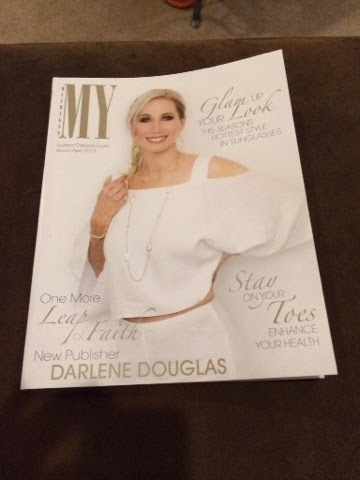 I was thrilled when publisher Darlene Douglas contacted me to let me know I was selected to receive a makeover. What a great experience! The makeover consisted of having my hair done by Yiannis Karimalis, a well known hair stylist from West Bloomfield. I went in with long hair and walked out with a totally new refreshing style. It was one of those "changes" in life that sometimes our "hair" needs. It's also fun making a big "change" in the way your hair looks! I love how easy my hair is to style. Yiannis did an awesome job at adding texture to my hair. I can't tell you how many people compliment my new look. My makeup was done by Aferdita Qafa and she did an amazing job on my eyes! We laughed because she had to keep going back to touch up my eye makeup from my watery eyes. I wish I could do makeup like this woman. The camera was my last experience of the makeover session. Robert Olinski was the photographer and he made it easy to pose for the camera. As you can see below, he is great at what he does. I am very happy with how great Yiannis, Aferdita and Robert made me look for MY Makeover!